Victoria Looseleaf is a freelance arts journalist and regular contributor to the Los Angeles Times, Dance Magazine, Performances Magazine, KCET’s Artbound and KUSC-FM radio, among other outlets. Ms. Looseleaf has also been published in the New York Times. In addition, she was the producer/host of the long-running cable access TV show on the arts, The Looseleaf Report, which ran for 22 years in Los Angeles and New York. She now maintains a blog of the same name. But of course, if you’re reading this, you know that already. Ms. Looseleaf currently writes the program notes and broadcast scripts (in addition to interviewing world-class musicians, including Lang Lang, Josh Bell and others), for the Los Angeles Philharmonic at the Hollywood Bowl, as well as the broadcast scripts and program notes for the Los Angeles Chamber Orchestra. From 2004 – 2008 Ms. Looseleaf was the program annotator for the Los Angeles Master Chorale, and from 2006-2008, she wrote the program notes for the Geffen Playhouse. Her numerous interviews for print, broadcast and online media include those with Jane Fonda, Javier Bardem, Emily Watson, Antonio Banderas, Matt Stone and Trey Parker (The Book of Mormon), Olympia Dukakis, Plácido Domingo (our first interview, right), and Martin Sheen. Dance luminaries include Mark Morris, Twyla Tharp, Nacho Duato, Alicia Alonso, Edward Villella, Merce Cunningham, Judith Jamison, Desmond Richardson and Dwight Rhoden, Angelin Preljocaj, Helgi Thomasson, Wim Vandekeybus and Sidi Larbi Cherkhoui. In 2006, Ms. Looseleaf was the recipient of a special Lester Horton Award, Furthering the Visibility of Dance. She has also been an adjunct faculty member at Cal State Los Angeles and is currently an adjunct faculty member at USC, where she teaches Historical Approaches to Dance and Dance As an Art Form (2009 – present). 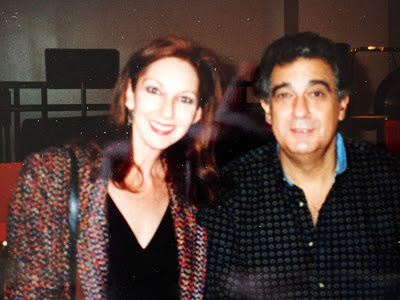 Covering music, dance and arts festivals around the world, Ms. Looseleaf’s recent travels have taken her to Aix-en-Provence, Havana (at left with ballet superstar Julio Bocca), Lyon, Montpellier, Abu Dhabi, Amsterdam, Venice, Athens, Buenos Aires, Tel Aviv, Jerusalem, The Hague and Vienna. 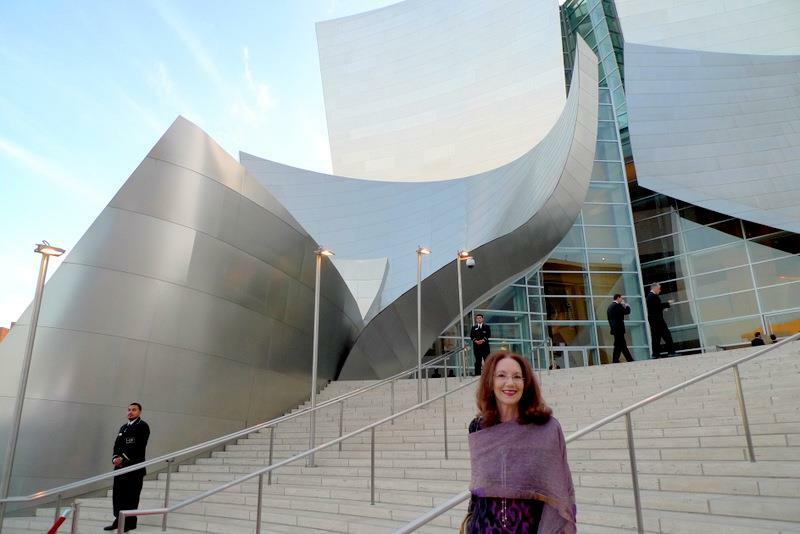 In addition, Ms. Looseleaf has given pre-concert lectures on dance at the Music Center of Los Angeles, at Valley Performing Arts Center and the Alex Theatre (for Los Angeles Ballet), at the Central Library and at various arts festivals. 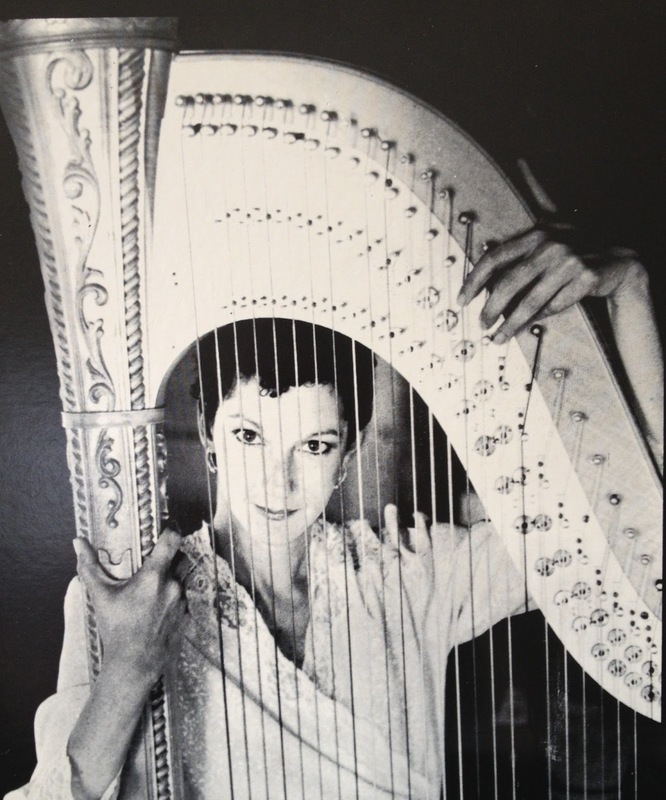 Ms. Looseleaf holds a Bachelor of Science degree in psychology from the University of California Berkeley, and a master’s of fine arts in the performance and literature of the harp from Mills College in Oakland. As a professional harpist, Ms. Looseleaf recorded two albums of solo harp music, Harpnosis, and Beyond Harpnosis, both registered trademarks, and, as a songwriter, she is a member of ASCAP. 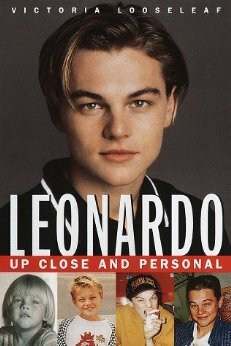 Ms. Looseleaf has also published several books, including a biography of Leonardo DiCaprio, Leonardo: Up Close and Personal (Ballantine Books, 1998), as well as a tribute book on John Mauceri, former conductor for the Hollywood Bowl Orchestra (commissioned and published by the LA Philharmonic). 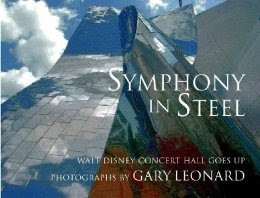 In addition, she wrote the forward to Gary Leonard’s photography book, Symphony in Steel: Walt Disney Concert Hall Goes Up.